Another great review for Eaglebait! My first talk/reading/signing for Eaglebait! Here's the latest review for Eaglebait, written by career librarian, reviewer and world traveler, Mark Anderson. Thanks, Mark! Eaglebait, by Susan Coryell. Bloomington IN: iUniverse, Inc. Bullying has been an issue of grave concern in society since time immemorial. In our own sphere of years, pro-active communities have emerged to combat the menace. Articles and novels have been written. Studies have been conducted; self-help groups have come to the fore. Bullies have been thwarted, and those who have suffered in silence have been helped. The surly lad slouching in the back of a classroom waiting to taunt a victim has himself been brought to heel. The mere click of a mouse can create a cyber-bully, often with devastating consequences. The tracking technology is there, too, to bring such people out from anonymity. 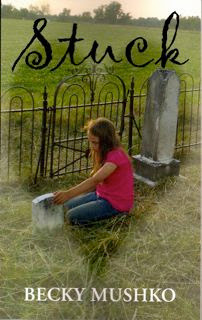 We may now take a new and refreshing look at an early novel which targets the issue of bullying. In 1989, Susan Coryell, a career educator in Virginia, wrote Eaglebait, a young adult novel that is prescient in its realization of an enormous problem that in the ensuing years would create headlines and careen out of control. We now have a re-issue from iUniverse, Inc. (2011), and we can read again how Coryell’s perceptions still ring true. We can discern how her hip and often amusing depictions of 1980s culture and technology more than withstand the scrutiny and the flippancy of our new century. Updates of her situations and ideas slide into our consciousness as easily as a couple of thumbs flicking the latest palm-size screen. Our main character, Wardy, is not the world’s greatest 14-year old. He is insolent to his mother, and disdainful of his father. He literally blows apart his chance at a good high school career at a prestigious private school. He further skews the moral compass of his life by carrying out a minor deceit. But does this mean that he should be subject to bullying? Emphatically, no. However, he is also pudgy, confused, and a brilliant science student. That’s the fodder which arch-bullies Jimmo, Jocko, and their mates find worth pursuing when Wardy shows up at his new school. Now what can Wardy do when his future is blocked by bullies? Coryell delivers vicious scenes of bullying, cutting them from the whole cloth of a society’s perversions. Public humiliation and the mob effect take hold and engulf the hapless Wardy. We recognize the slow, gnawing nature of bullying. It wrenches our hearts, because we recognize it yet today. Coryell makes the key point that solutions are needed. If you can’t talk sense to a bully, try to steer clear and find your own support. Wardy’s first solution is not good. He flees, and finds that a few harrowing days and nights in rural America leave him shaken beyond any taunts he endures at school. Wardy will find his saviors, and these characters are drawn by Coryell with great sensitivity and depth. There is Grandma Lou. Would we now call her GLou? She is calm and she is wise. She would be a wonderful star turn for the encompassing warmth of Blythe Danner. Grandma Lou sips her juice and advises Wardy to choose his battles. She reveals her life as a series of give-and-take moments, and ultimately as a statement for the empowerment of women. She wants Wardy to fight his way through taunts and mixed signals towards his own goal of the mastery of science. Moments of clarity are now more frequent for Wardy. He begins to take a more measured view of school life. He connects with some nice students. Meg, a talented and pretty classmate befriends him. It’s a jaw-dropping development for plain old Wardy. We might smile and recognize it as the precursor to a “Kevin James gets the girl” moment. The need for caution still cannot be ignored. Is the helpful physics teacher really a savior, or a sinister presence? Wardy has to scramble and decide where his loyalties reside and the best direction for his talents. The solution to bullying has taken hold. Wardy immerses himself in family, friends, and science. His laser experiments would be the contemporary search for “the next killer app.” That crazy little thing called a photocell is a key to Wardy’s work. Laser fuel is augmented by a common drugstore ingredient. And the good old microwave oven is now used for much more than just warming up your cup of tea. There is a backyard test of the laser, which leaves Wardy glowing and the neighbors scratching their heads. Wardy realizes that friends will rally ‘round. An eminent scientist professor whom Wardy has written to (by any means necessary, we might muse) comes to town, and Wardy finds that collaboration with adults is a great thing. The enduring concept of mentoring thus becomes another “Ah-ha! moment” for Wardy. The novel achieves a nice momentum. There is tension, emotional turmoil, and lots of solid science to satisfy young readers and adults alike. 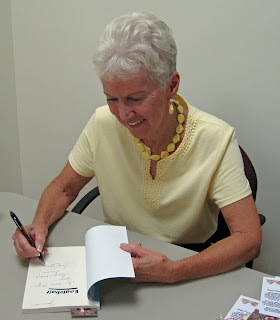 Susan Coryell Author: My first talk/reading/signing for Eaglebait! ends, neighbors, golfers, writers, and book clubbers came out to show moral support and make me smile. My grateful thanks to one and all! I signed 25 books, too. My next gig will be at the Moneta/SML Library Thursday, July 14 at 6 p.m. where I'll do a similar format. Hoping anyone who missed the Westlake event will be able to get to the next one. In her Eaglebait review, Becky nails the themes: bullies in the schools, self-esteem, working out problems and finding the real people in life for role models. Because Eaglebait was written 20 years ago, some of the bullying methods may have changed. But bullies themselves? No Way! They're still hateful and mean and they hurt their victims so many ways. Thanks, Becky. I'm looking forward to returning the favor in this space soon! Becky's Web site, with a complete list of her writings can be found here.